"Voting: It's Not an Option - It's a Must!" Flying to D.C. to sing, I visited with a passenger not much younger than I: A high school senior, who had been selected to represent students in her state, conversed with us at rapid-fire speed. Suddenly, we started talking U.S. History. Over 1 million cast votes last week...for "Dancing with the Stars." Yet millions of people toss aside their right to vote for leaders who could control their lives. My sister, Carrie Beth, and I sing patriotic Christian songs for conservative luminaries ranging from the most-decorated living veteran, Colonel Bud Day, to national leaders like Sarah Palin and Huckabee. (Lately, we've sung in Iowa for our home state's gubernatorial race. As an Iowan, I support the pro-life gubernatorial candidate, former Governor Terry Branstad, and pro-life lieutenant gubernatorial candidate, Kim Reynolds.) In other words, Carrie and I are pumped for Godly leadership for Election Day 2010 (and 2012, of course!). 3. Temper your temper. Discover the sweetness of rational, educational discussion. 4. Energize your friends, co-workers, grocery store clerks, etc. Positive, respectful persuasion quickly ripples thru a nation until it builds into a wave! Apathy felled Rome. So stand up for Biblical values in America, your home. Don't discount the value of your vote when the votes are counted. Again, changed hearts equal changed votes. Let's draw near to God now. I'll let His Word have the final word: "Let the peace of Christ rule in your hearts, since as members of one body you were called to peace. And be thankful"(Colossians 3:15, NIV). If you don't know God's peace, get to know Jesus for yourself here. Therefore I exhort first of all that supplications, prayers, intercessions,and gi ving of thanks be made for...all who are in authority.... For this is good and acceptable in the sight of God our Savior... (1 Timothy 2:1-3). Then I remembered the great price that was paid by so many to ensure me the right to cast my vote, and I repented. I remembered too the scriptural exhortation to pray for our leaders-ALL of them! Regardless of who is in office, there will always be those who are displeased with their performance. If that describes us as believers, then once again we need to repent. Rather than complain about our political leaders, the Bible tells us we are to be praying for them-regularly and without regard to their actions or stands on various issues. How much more vital is it to do so as elections near! Whether you live in America or in another country where you may or may not have a say in who governs, you can pray for those who are already in office, as well as those who will soon be there because, ultimately, God is in control and places those in authority according to His purpose. Vote on Tuesday, November 2! Going thru a rough time? Join Stacie Ruth's prayer group at www.PrayingPals.org. After Stacie Ruth met Jesus, her life blossomed with true joy and purpose! Life's blows hurt her, but Jesus heals and strengthens her. Now an author, actress, and recording artist, she laughs at the irony and praises God, who uses unlikely people...like herself. 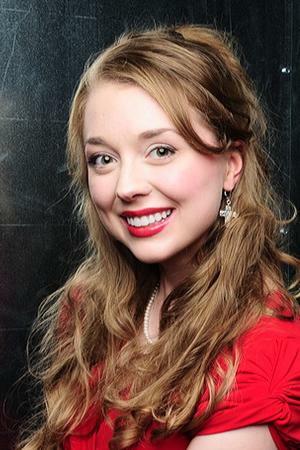 Discover why she's written a book at age 15, sung/spoken for the 43rd President, been pictured in major media (i.e. The New York Times and USA Today), and keynoted conferences since she was a teenager. Today, she keynotes and shares Jesus' healing love with hurting women facing financial troubles, depression, grief, diseases (like Alzheimer's), and other heartaches. Churches host her women's conference, The Heart Hospital, and discover what happens when Stacie Ruth steps back to let Jesus do the conference. To watch video clips, worship Jesus with music from her album, or get in touch with her ministry for women, visit http://www.brightlightministries.com/. 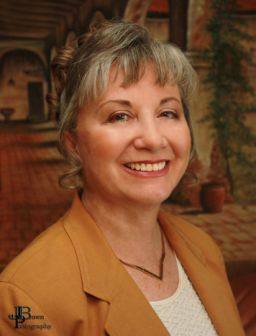 Kathi Macias is a multi-award winning writer who has authored nearly 30 books and ghostwritten several others. A former newspaper columnist and string reporter, Kathi has taught creative and business writing in various venues and has been a guest on many radio and television programs. Kathi is a popular speaker at churches, women's clubs and retreats, and writers' conferences, and recently won the prestigious 2008 member of the year award from AWSA (Advanced Writers and Speakers Association) at the annual Golden Scrolls award banquet. Kathi "Easy Writer" Macias lives in Homeland, CA, with her husband, Al, where the two of them spend their free time riding their Harley.